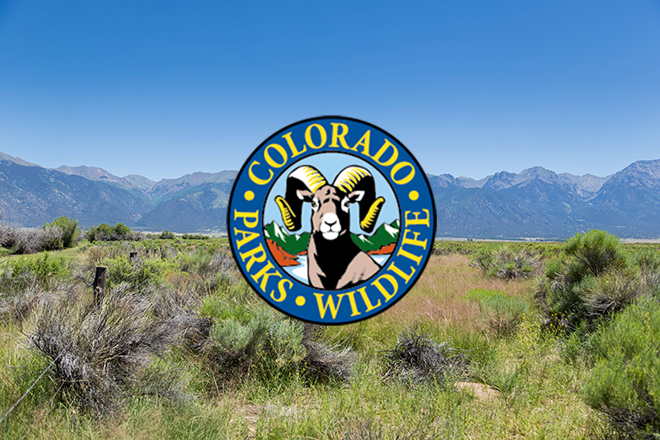 Colorado Parks and Wildlife officials are asking the public for help solving a rash of wildlife harassment cases involving animals shot with blow darts. Ducks, rabbits, Canada geese, squirrels and other animals have been the targets of blow darts recently in the Colorado Springs area. In some cases, the darts injured the animals. But at least one rabbit has died from its injury. "This is illegal harassment of wildlife," said Frank McGee, area wildlife manager for the Pikes Peak region. "It's something we take very seriously. But we need the public's help catching whoever is doing this." 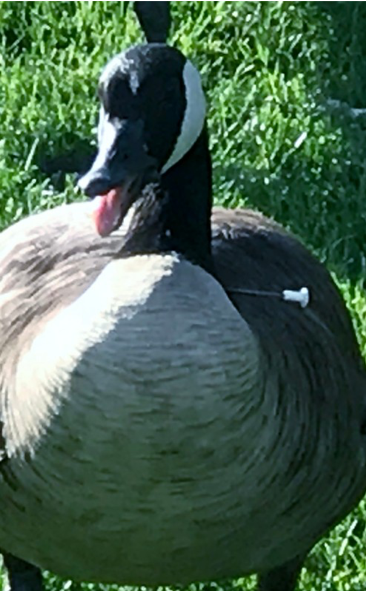 This Canada goose was seen Tuesday at Kissing Camels Golf Course in Colorado Springs with a blow dart still hanging from the base of its neck. Courtesy CPW. CPW's Southeast Region office has fielded a number of reports recently ranging from ducks shot at Willow Springs in Fountain, to rabbits shot at Quail Lake in a south Colorado Springs neighborhood, a goose darted at Sinton Pond near Interstate 25 and Fillmore Street to a goose seen Tuesday with a dart hanging from the base of its neck at Kissing Camels Golf Course on the city's west side. The Sinton Pond goose survived and has been seen recently nursing its young goslings with the dart still hanging from its neck. McGee said anyone injuring or killing wildlife with blow darts could face misdemeanor charges ranging from harassment of wildlife, hunting small game without a license, illegal taking of wildlife and hunting out of season, among other charges. Possible fines range from $50 to $100 and more, depending on the charge, McGee said. He encouraged anyone with information of the darting incidents to contact CPW at its Southeast Regional office at 719-227-5200. To provide information anonymously about a wildlife violation, the public can contact Operation Game Thief at 877-265-6648, by dialing #OGT from a Verizon cellphone, or by email at game.thief@state.co.us. Rewards are available if the information leads to an arrest or citation.